Biography of Hans Soeteman. The Dasinu project: fusion music from the Netherlands. First: you can find a chronological overview of the bands I played in, and the corresponding musicians under the button. 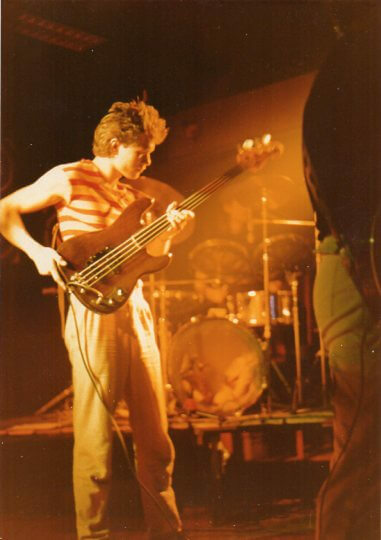 In the 70ties I played in several bands. At the start I tried to be a guitarist, but because there was more demand for bass players I changed to this beautiful instrument. I played the bass in bands like "Squad", "Phineas" and of course in the School band with more experienced musicians like Maurits de Weert (guitar), Jan van Someren (keyboard) and Henk Jonkers (drums). 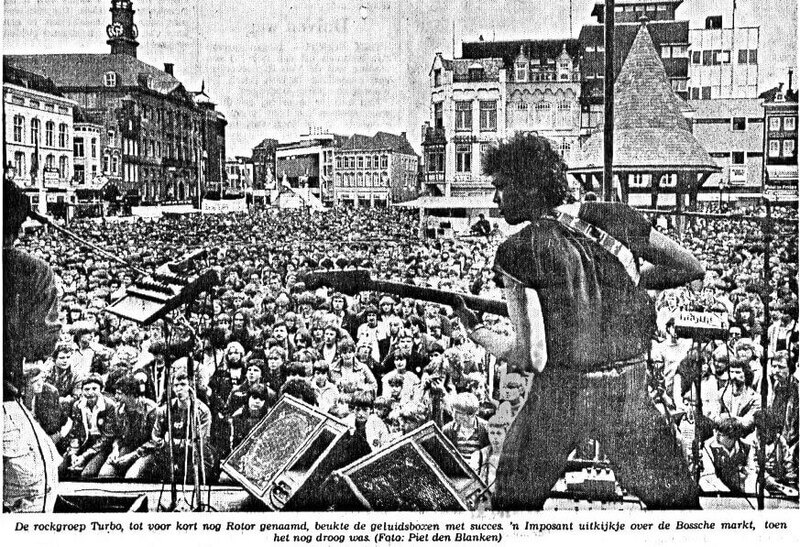 Henk played - much later - in the famous Dutch band Fatal Flowers. 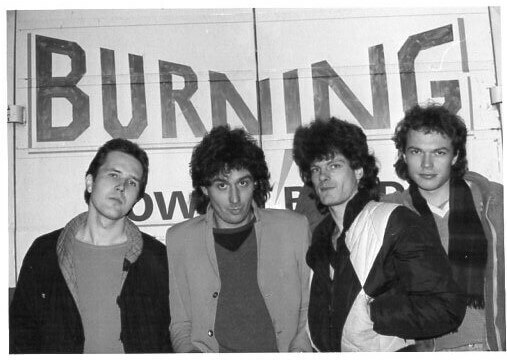 At the end of the 70ties I again played with Maurits in the band 'Burning'. After Fiets the real work started. "Burning" was launched. A funky power band with ambition, a lot of gigs, and even some regular radio airplay. In 1980 we recorded an Album (Night) and our first single (Hide away) was released a few months later. 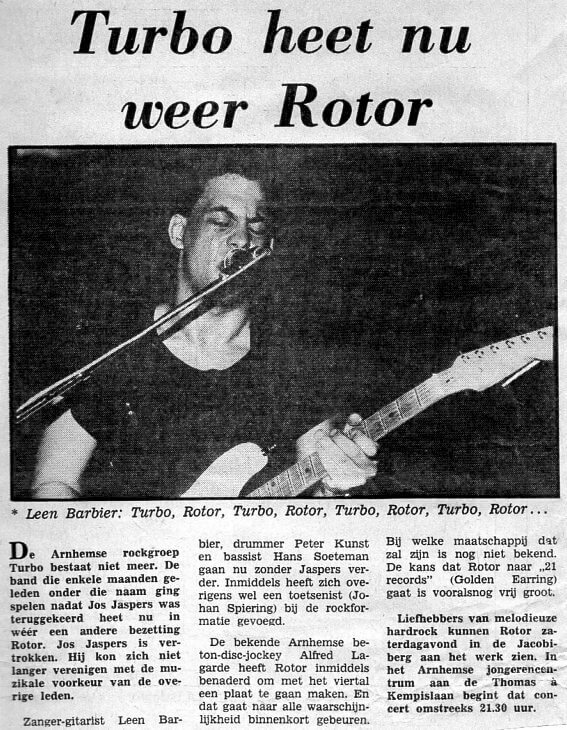 In the early 80ties I left this band to play with "Rotor"
In the 80ties we also got heavily involved in Jazz music: "the Rob Lokhorst quartet" (and "Tough Talk" as the blues version) formed the basis for countless other formations with lots of famous and not so famous guest musicians like Hans and a - at that time - very young Candy Dulfer, Bertus Borgers, Piet Hein Veening and Eef Albers. We played blues and jazz in small clubs and bars, but because we also had to make some money we also played 'jazzy covers' in restaurants, at weddings and other happy and unhappy occasions with Bennie Stevens's band "Freeline". During this period I also played in "the Pierre van der Linden quartet", who had just left the famous Dutch band "Focus" (and later rejoined). A "loose" group that played a very heavy kind of electric Jazz. 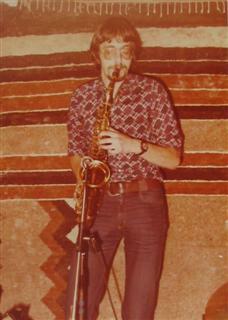 And in the short-lived "The Fez", a Steely Dan-esque band led by the talented Vincent van Leest. After "Burning" came "Rotor" led by guitarist/vocalist Leen (or Lain) Barbier. "Rotor" was the successor of "Turbo", a Dutch rock band that had released several albums and even had a hit single (You Girl). We had an amazing time, loads of gigs and fanatic fans. The breakthough was always almost there... We even changed back to Turbo when Jos Jaspers joined. And yeah... when he left after a few months it was Rotor again... After that the energy was gone, Leen Barbier joined "Diesel" and I joined the "Rauchende colts" the successor of the immensely populair Dutch band "Toontje Lager"
So after this heavy period I joined the "Rauchende colts". 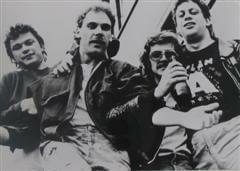 A band that was started by ex-"toontje lager" musicians and the Belgium duo Pol & Misch. "Rauchende colts" was a very well organized professional band with a great humoristic show that played a mix of styles in a number of languages. We did some really great performances, a tv show and several radio performances. One track was used for the Dutch movie "Donna Donna". Although the future looked bright the "Rauchende Colts" didn't last very long. The band exploded because of a difference in musical opinions (as usual...). 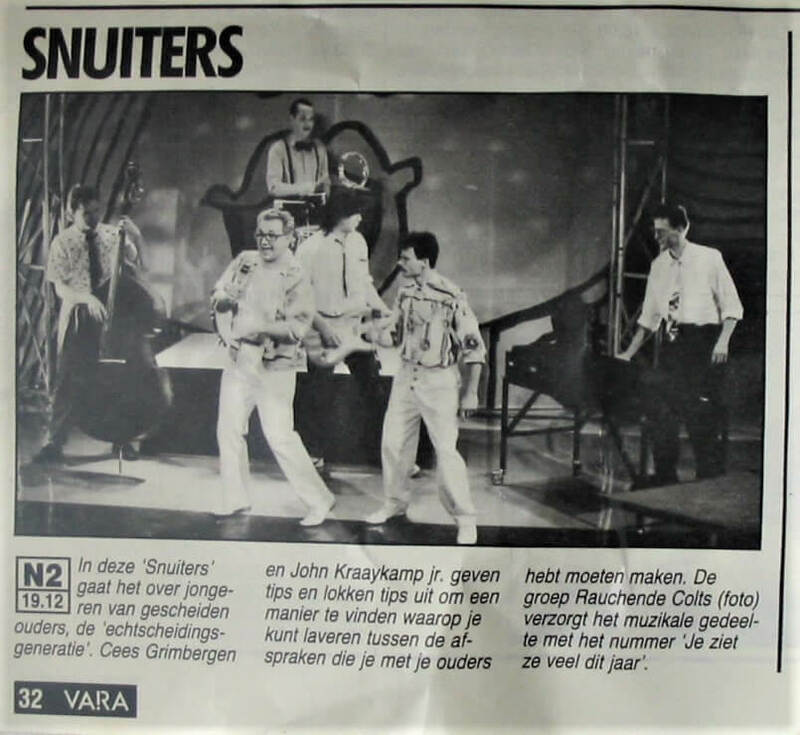 Tired of Pop music we (Gerard de Braconier, Joost Witte, Hans Soeteman) decided to start a Zydeco/Cajun band together with Mark Söhngen: 'Captain Gumbo'. Just before the first successful cd was released I left this band in 1990. After a long time of not making music I started experimenting with homerecording software and everything that goes with it (around 1996). Finally in 2005 I started DASINU. Since 2007 DASINU has a more or less permanent guest: USA bass virtuoso Jim Casey. Besides that there are guest perfomances of Philip Platt and Rob Lokhorst.